Do you like 3 Pandas in Fantasy? Share it with your friends. 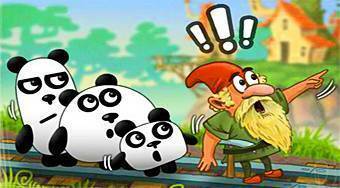 3 Pandas in Fantasy - help three panda friends to get back to the reality from a fabulous house in an amusement park.